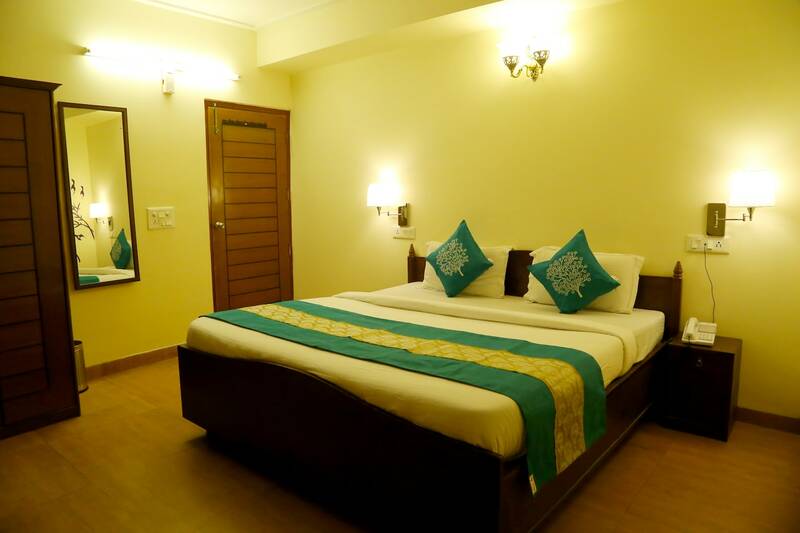 Expect fine services and premium hospitality at Hotel Gobind Palace and be assured of a pleasant stay. The rooms are warm and bright and are equipped with basic amenities and wooden furniture for the relaxing stay of the guests. The decals add glow to the room. The bright cushions make the space lively and the plush sofas make for an additional seating space in the room. Guests can relax and unwind in the well-furnished seating area in the hotel. Guests dont need to worry about their work as free Wi-Fi service is offered by the hotel for guests to stay connected. Elevator and parking facility is also available at the hotel for the convenience of the guests.